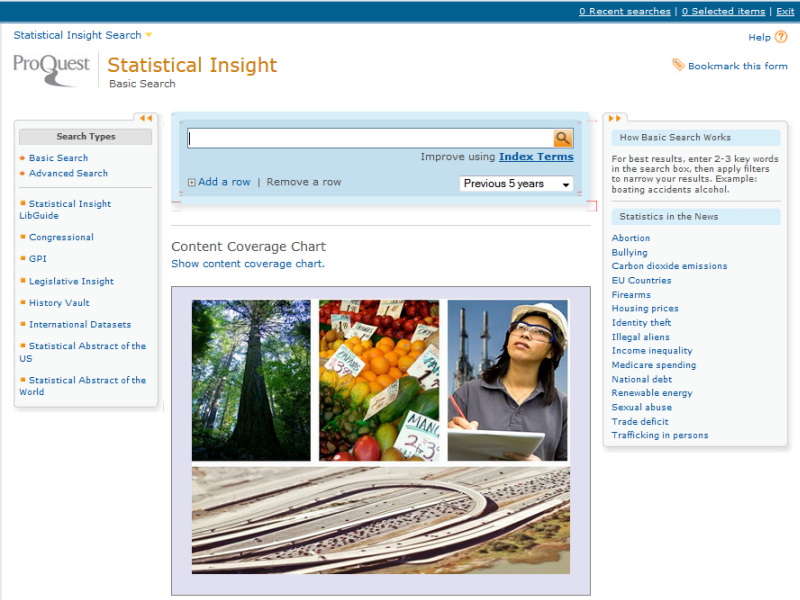 ProQuest Statistical Insight provides abstracting, indexing, and full text for publications from hundreds of public domain and licensed sources. Institutions can subscribe to the entire collection or to selected modules. Hundreds of thousands of statistical tables selected from the three publication modules. Tables are individually indexed to ensure precise search and retrieval. Coverage from 1999. Information on usage reports for ProQuest Statistical Insight is located on the guide linked here.